Livestock transport industry stalwart Noel Hoare has passed away. Hoare was a heavyweight in several Australian trucking industry peak bodies. Amongst other positions he served as a director of Road Transport Forum, now the Australian Trucking Association( ATA) for many years. Amongst other awards he received the ATA’s "Outstanding Contribution to the Australian Trucking Industry" gong. Hoare was also instrumental in establishing both the Livestock and Bulk Carriers Association (LBCA) and the Australian Livestock and Rural Transporters Association (ALRTA). 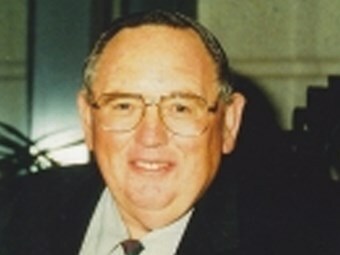 He served as the ALRTA national president between 1990 and 1992. "Noel started out in the road transport industry in 1958 driving for his father who had a one-truck carrying business in conjunction with the family property at Yarrowitch, 50km east of Walcha NSW," says the LBCA in a tribute. "He married in 1965 and soon after started his own trucking business. "In 1990, Noel entered a business partnership with Jim Savage, forming a new company that still operates today as Stockmaster (based in Tamworth). "Over the years Noel fought for and won many reforms with lasting benefits including the introduction of mandatory speed limiters and the move from 30 x 30 foot B-doubles to today’s commonplace 20 x 40 foot combination. "Noel has also been active in serving his local community on the ambulance service management committee and the volunteer fire brigade for some 25 years." Hoare is survived by his wife, two children and three grandchildren.